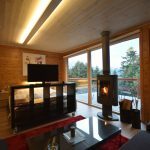 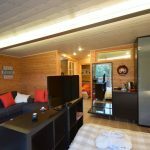 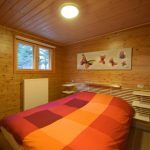 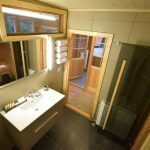 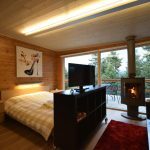 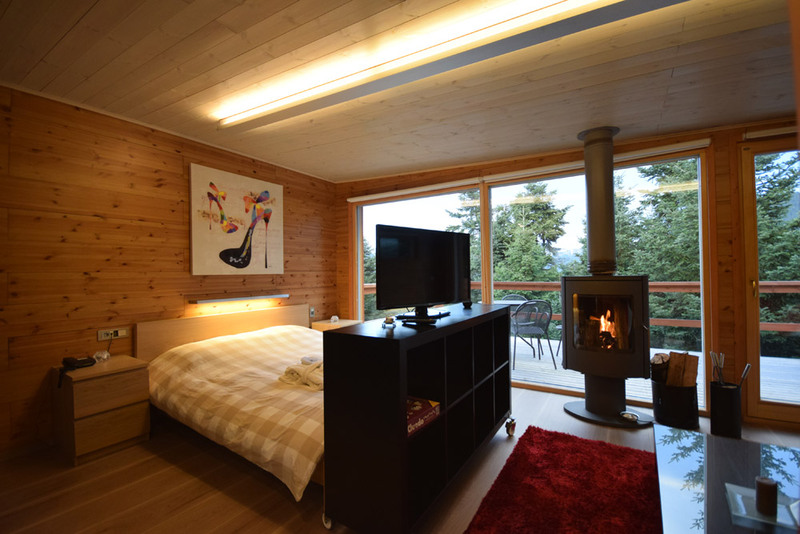 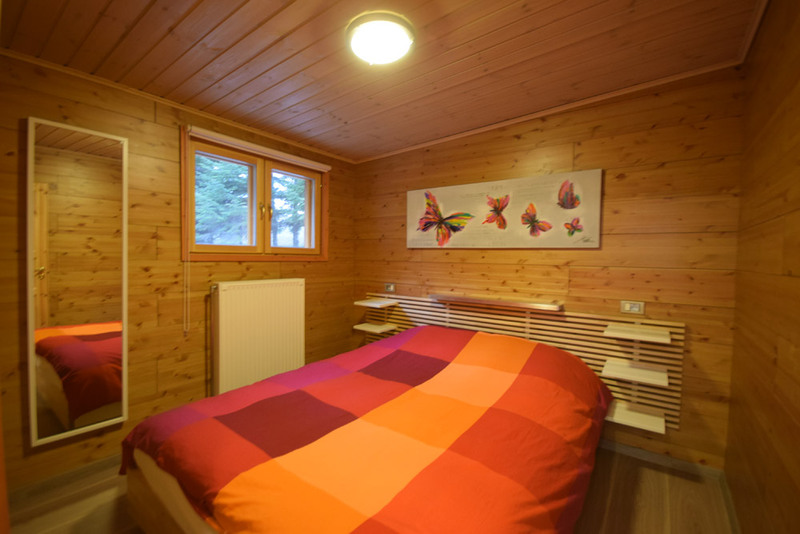 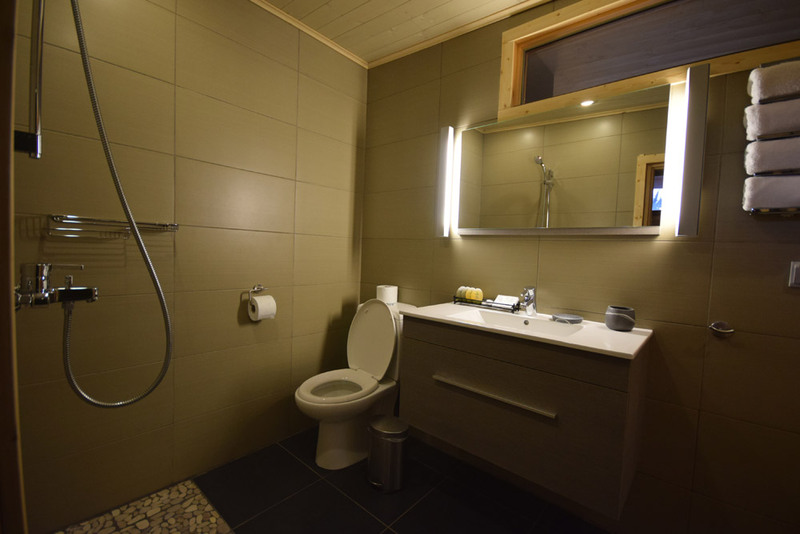 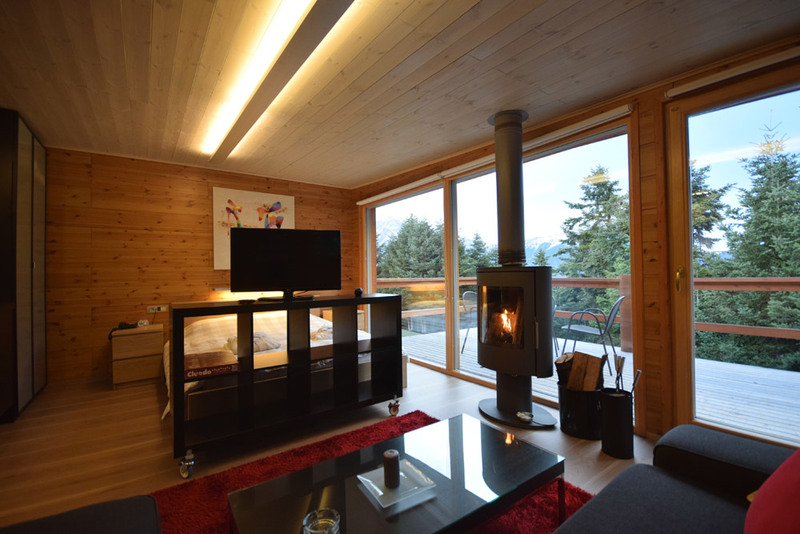 The Forest Villa chalet is a Finnish wooden autonomous chalet, 45m2, that can accommodate 4 persons. 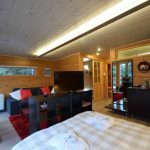 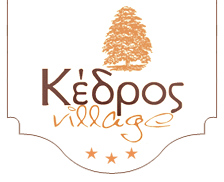 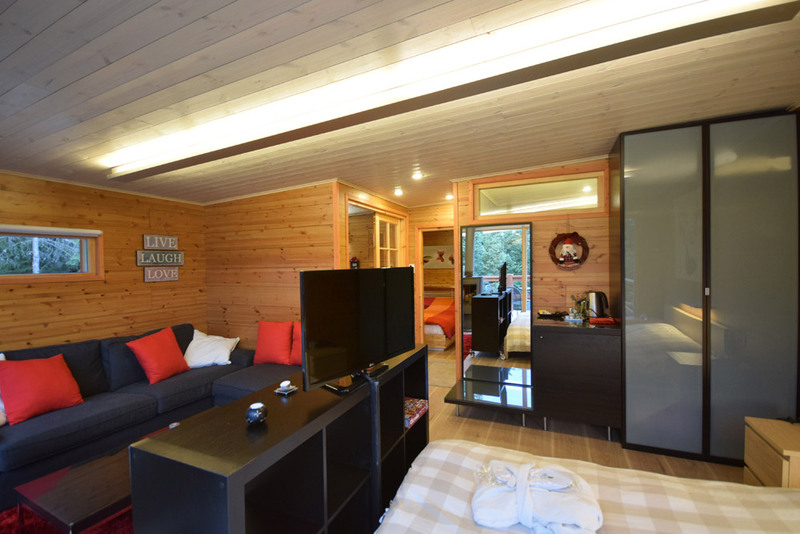 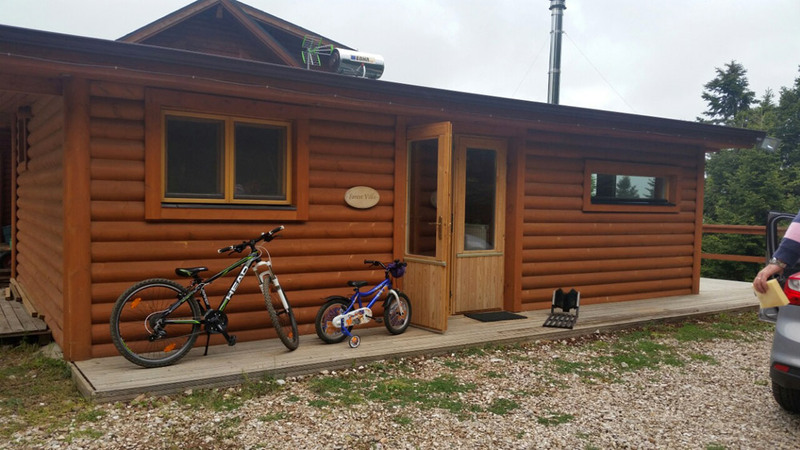 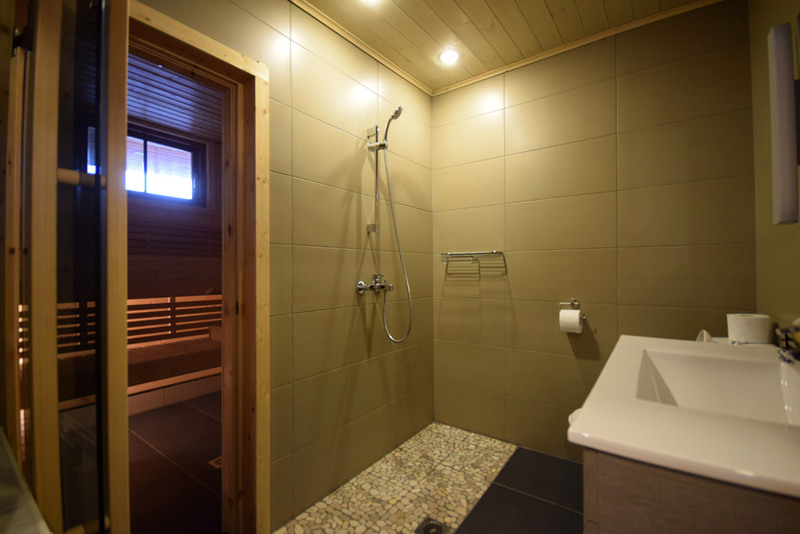 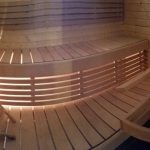 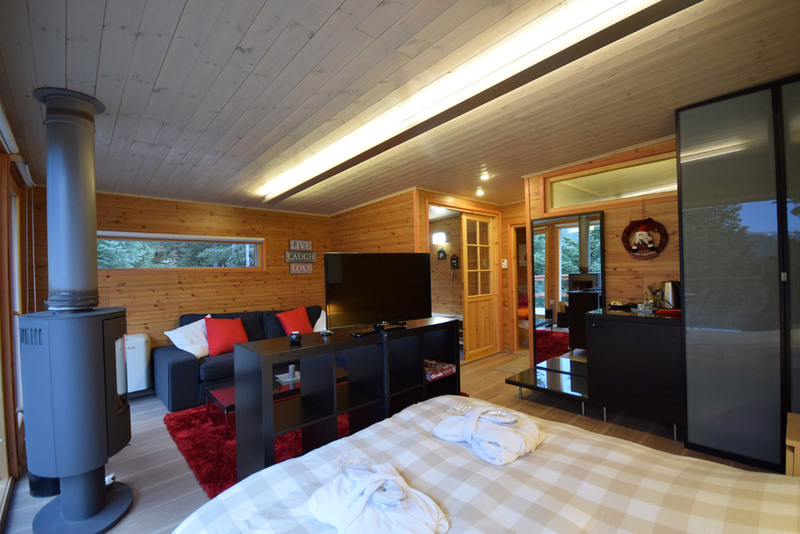 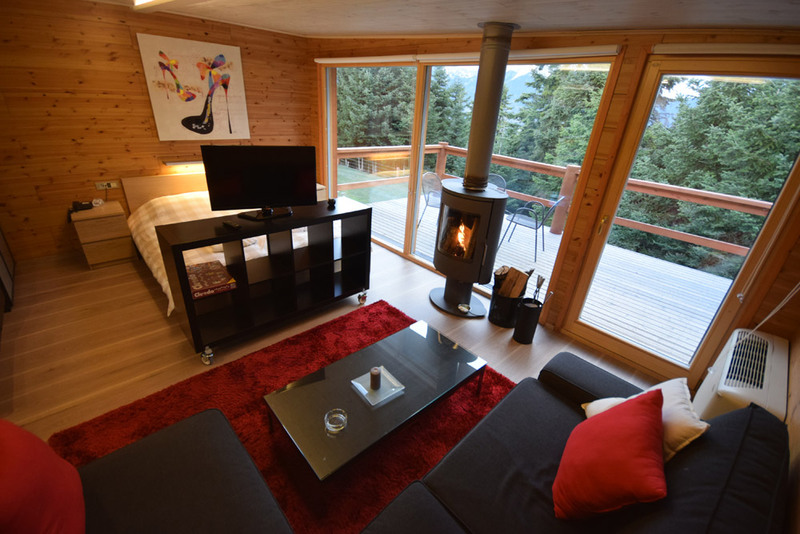 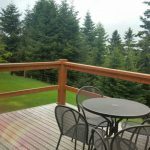 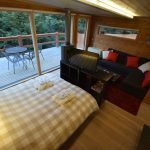 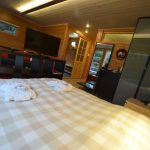 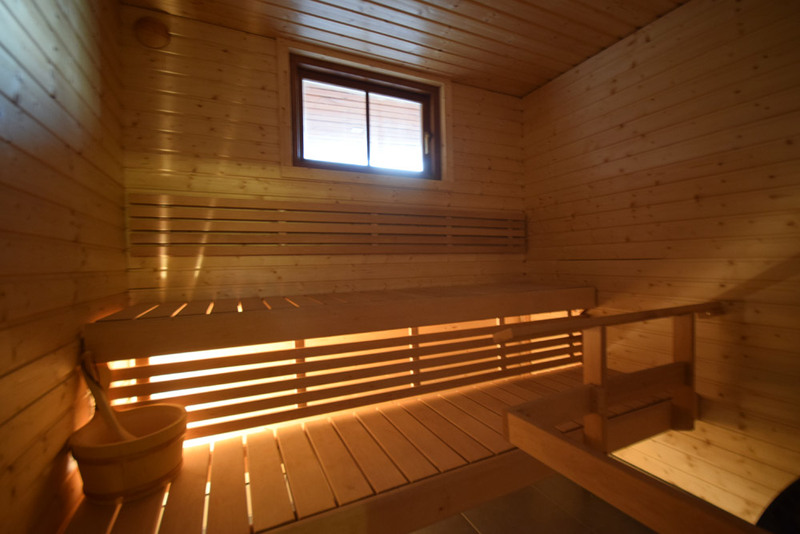 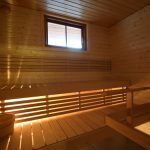 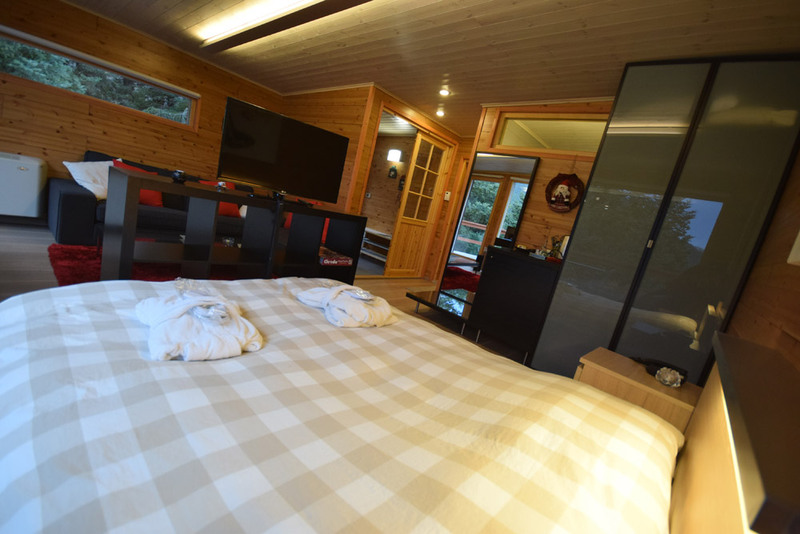 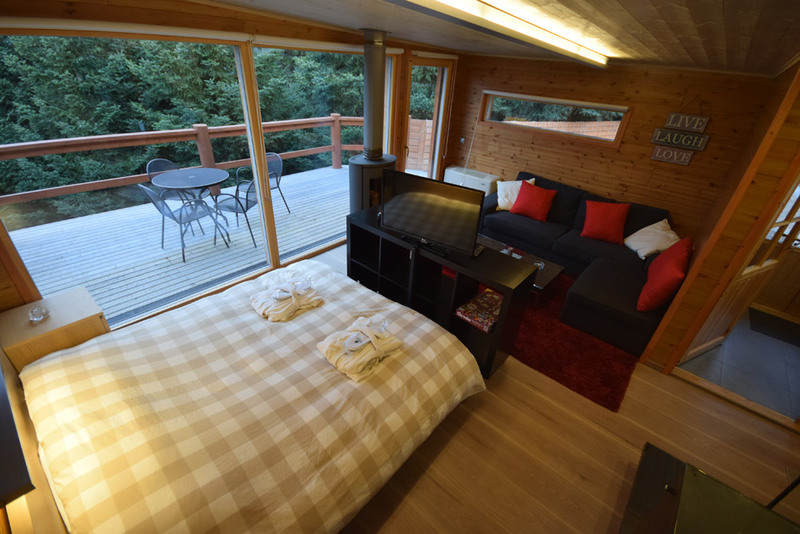 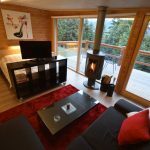 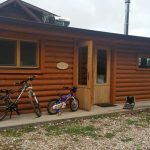 It is a modern two-room suite with two double beds and a four persons sauna. 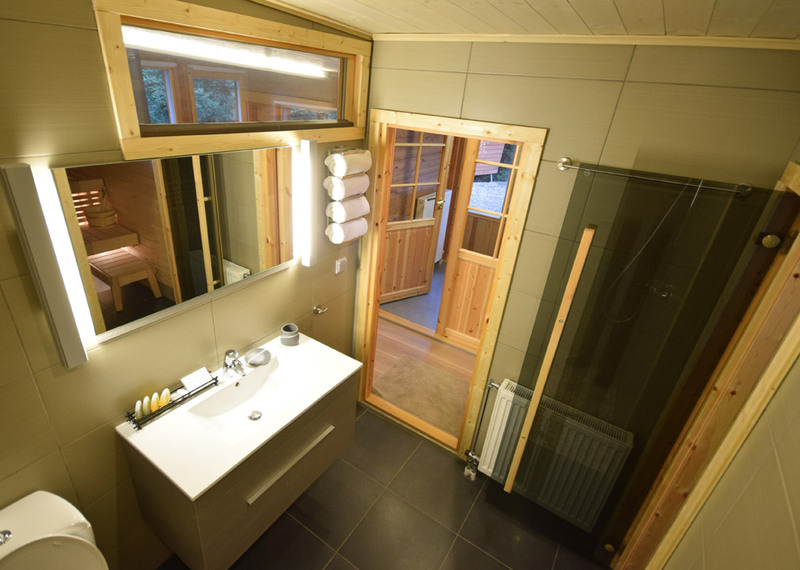 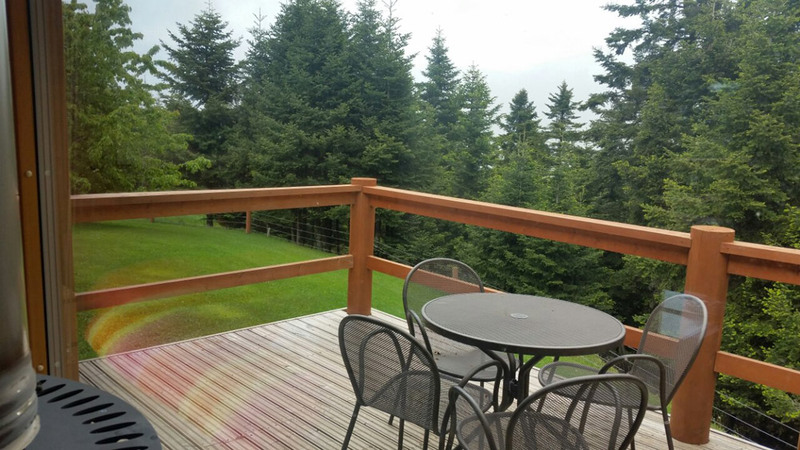 It has a private porch, fireplace, TV, kettle, fridge, board games and a hairdryer in the bathroom.